KARACHI: It was in December last year that William Lawrie, the co-owner of a gallery in Dubai, was so inspired by a Pakistani art catalogue that he decided to visit the country to check out its art scene. 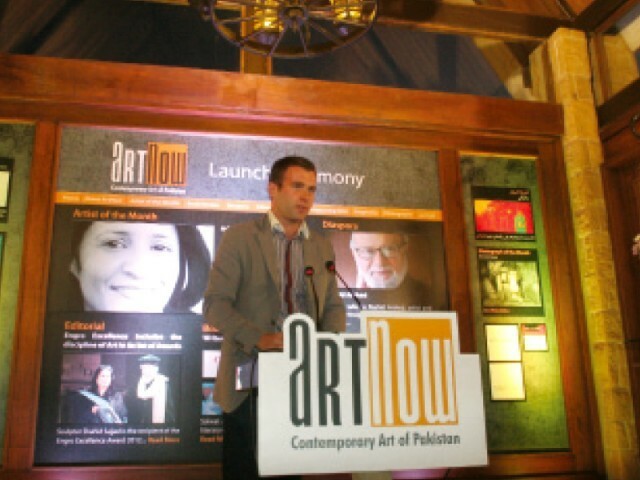 He spoke at the launch of ArtNow, the country’s only bilingual online magazine on contemporary art. Although the magazine has been in print for six months, its official launch took place on Friday at Port Grand. A jubilant and excited editor-in-chief, Fawzia Naqvi, said that the aim of the magazine was to highlight young and upcoming artists and to create a space for Pakistani artists in foreign galleries. “We want to portray Pakistan’s positive image on the international front,” she said.